Watch a different version of ‘The Christmas Story’ https://youtu.be/kWq60oyrHVQ What part of the Christmas story strikes you the most? Epiphany of the Lord Yr C – nobody is unclean, everyone is included! Epiphany is the Greek word meaning to ‘show’ or ‘make manifest’. The Magi from the East (coming from the Greek word for people of special knowledge) pay homage to Jesus. This symbolises all nations recognising Jesus as King and Lord. If you had to write a story to teach the truth about Jesus what truths would you seek to include? How could the Church make Christ known more creatively today? What is the most creative christian evangelisation message you have seen lately? Isaiah makes a beautiful prophecy which is fulfilled in the Gospel of Matthew story and the Magi today. God’s chosen people have just returned from exile and their country and beautiful city of Jerusalem and its Temple are in ruins. Isaiah begins with the image of Jerusalem as a woman lying down in defeat. ‘Rise up Jerusalem! Your light has come.’ As we enter the beginning of the New Year how could you experience ‘rising up’ to your most beautiful self? How could you help the Church ‘rise up’ and make Christ known? What would it take for you to be radiant and your heart throb with joy and pride in the Church community? What will you do? Paul states very clearly a mind-shattering truth: ‘the gentiles are coheirs’. Jewish people thought of and treated ‘gentiles’ as ‘unclean’. Paul says they are ‘clean’ and ‘co-partners’ in the inheritance of God’s promises and family. What adjustments in mind, heart, and action, would take place if God revealed to you that everyone was clean and equal and a ‘brother’ or ‘sister’ to you and you were all part of the same family? Imagine what life-style change this would involve. Are you willing to try? Can you glimpse this is the central gospel message of Jesus? In ancient times a new star was thought to indicate a new leader being born. The Magi are on a journey of seeking God. They have knowledge. Resources. Time. All that the world declares is necessary for fulfilment. Yet they are hungry for something more. What is currently guiding your life? Would you say you are thirsty, hungry, searching? How and where do you find Jesus today? The three gifts presented reveal the identity of Jesus. Gold for a king. Frankincense for a priest whose role is to pray and send prayers to God in heaven. Myrrh pointing toward Jesus’ sacrifice and death and future burial. As the new year begins what personal ‘gifts’, ‘talents’, are you willing to ‘give’ in service to God? Consider the deeper meaning of homage and surrender. How could you express a deeper commitment to following Jesus? What change of direction would you like to make to imitate the Magi? 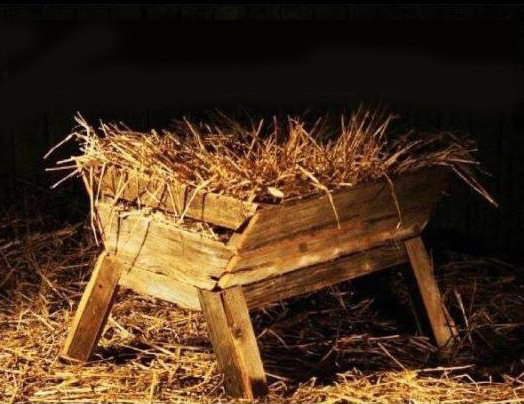 Merry Christmas – God pitched his tent among us! ‘The Lord bares his holy arm’ is an image of God ‘rolling up his sleeves’ to get stuck into the work of salvation. Rolling up one’s sleeves recognises the work may get messy. The Incarnation is God entering our messy world. Is this good news for you? How? Today’s reading from Isaiah brings us the original meaning of ‘Good News’. It was a messenger running back from battle with news of victory – good news! The messengers feet were ‘dirty’ but also beautiful as they brought a joyful message. Do you ‘carry’ a message of joy and peace in your heart because of Jesus? 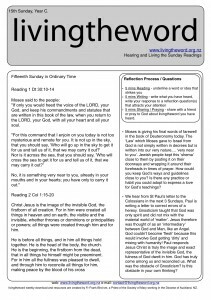 The Letter to the Hebrews is essentially a long sermon explaining to Jewish People and Jewish Temple Priests the significance of Jesus’ birth, life, death and resurrection. Jesus is the ‘Son’ of God, and ‘the very imprint of his being’. Some translations use the phrase ‘the perfect copy of his nature’. The Letter to the Hebrews also had to make clear that Jesus was above the angels and not an ‘intermediary’ or angelic ‘messenger’. What words or ideas best explain Jesus’ identity for you? 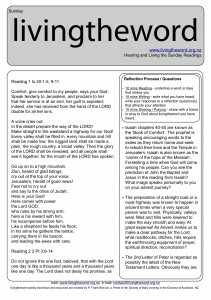 In the Gospel of John, Jesus is given the title ‘Word’. Your ‘word’ expresses your deepest being. Is intimately ‘you’. It is self revelation. Jesus = Word is a creative way of teaching us about Jesus’ identity and one in being with God. ‘In the beginning’ is John’s way of referring back to Genesis 1,1 and the existence of Jesus prior to creation. The great climax is the ‘Word became flesh’. The image is one of God pitching his tent among us. It is this truth that writers call ‘the marvelous exchange’. It is this truth shown in the crib scene of Jesus and Mary and Joseph. We look on in wonder. How could you look at Christmas in a new and fresh way? How could you be surprised by Christmas again?